Come hear the first-hand experience of the suffering going on in North Korea. Mr. Shin, a North Korean brother, will give his testimony and there will be a time of Q&A following his presentation. 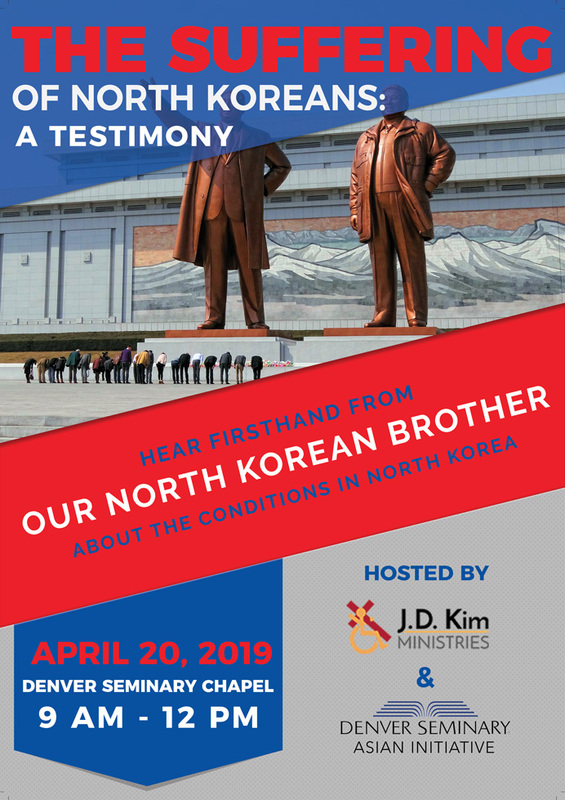 Co-sponsored by the Denver Seminary Asian Initiative and J. D. Kim Minstries, we will have a short time of praise and worship, followed by Mr. Shin's testimony. Afterward, there will be a time of lunch and fellowship.